In a slide intended for investors' eyes only, Asus has outlined its tablet plans for 2012, promising Windows 8 tablets before the year is out. In fact, the slide suggests we'll see two "hero products" on the market in the third quarter of the year (July-September), with at least one running Windows 8 during that time frame. The Windows 8 tablet (or tablets) looks likely to run on ARM architecture, although it's not completely clear that that's the case. 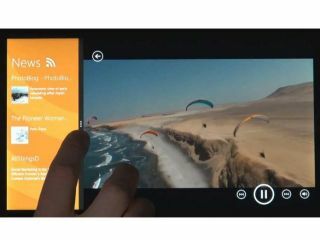 The very informative slide also outlines Asus' plans to release two new Android tablets in the first three months of 2012 – information that has sent our CES sense a-tingling. We expect to see one or both of these in Vegas in January. As if the cheeky slide hadn't given enough of Asus' secrets away, it also outlined the Asus Transformer Prime release date as 9 November. Tsk tsk.